In April 1980, Jim made the most of a two-week hiatus from The Muppet Show. He took a quick trip to Albuquerque to see his folks and then headed to New York to do television appearances and attend various meetings. April 17th was typical of his jam-packed schedule. The day started early with an appearance on The Today Show. Jim said “Hi” to weatherman Willard Scott, an old friend from their days starting out at WRC in Washington. The main event was when Jim went behind the scenes with Gene Shalit to explore a closet full of pipes that Jim and his team had decorated back in 1964. While waiting for an appearance on the Jack Paar Program in a small dressing room, Jim, Jerry Juhl, Frank Oz and Don Sahlin decided to “muppetize” some of the exposed plumbing, painting faces and adding fur collars, mustaches, and hair. They closed the closet and no one was the wiser. At some point much later, they were rediscovered and revealed on TV during Jim’s appearance in 1980. Over the years, the closet has been highlighted on the air by various hosts and finally, in 2010, the area around it was renovated. 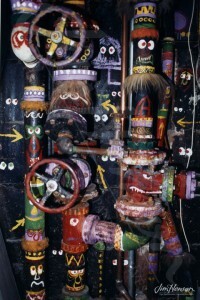 The Muppet pipes are now a highlight of the NBC Studio tour. The second stop of the day was a building at 833 Lexington Avenue that would house the first Muppet Stuff store. Decorated to be fun and welcoming with a giant character-laden clock, Muppet Stuff featured all types of Muppet toys, dolls, apparel, books, videos, and memorabilia. 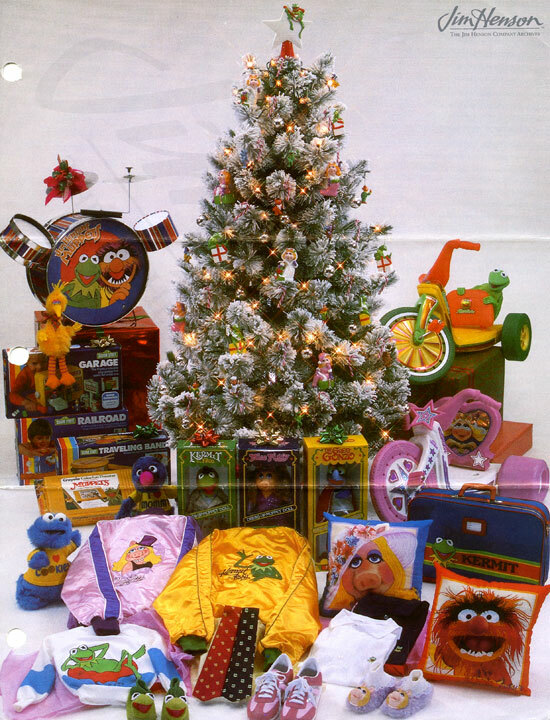 For the opening, set for late October 1980, the boutique was heralded as “Muppet Stuff – A shop with nothing but!” Visitors to the store were plunged into a world that included Muppets and Muppet Babies, Sesame Street, and Fraggle Rock. The design was meant to evoke a visit to the workshop in the midst of a project, but the intentional “…delightful clutter” requested by Jim ended up being a liability, making it difficult for customers to find what they wanted. In an attempt to balance whimsy with profit, the store went through some design streamlining over the years. Events at the store, including walk-around characters and holiday children’s activities, proved to be a big draw and kept buyers coming back. The style, contents, staff and promotion were managed in-house at Henson Associates nearby in a very hands-on manner. Michael Frith created the logo and all departments made suggestions about publicity, events, design and merchandise. Eventually, working with a partner in Canada, nine stores opened there. Retail is fickle, however, and as the company moved into the early 1990s, Muppet Stuff closed its doors. 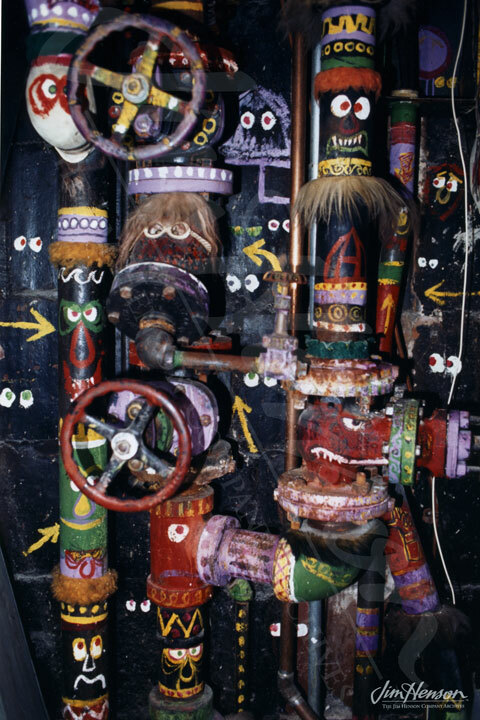 The pipes in the closet at NBC decorated by Jim, Jerry Juhl, Frank Oz and Don Sahlin in 1964. Photo by John E. Barrett. Muppet Stuff store logo designed by Michael K. Frith, 1980. 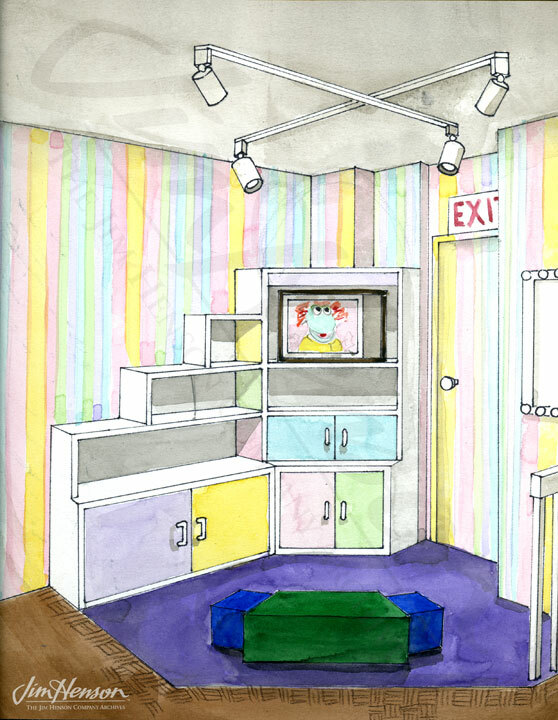 Design for Muppet Stuff store fixture by Lyndon Mosse, 1980. Mail order form for Muppet Stuff store, 1981. This entry was posted in 04-April '80, 1980, Appearances, Family and tagged Albuquerque, Bessemer Trust, Gene Shalit, Jack Paar, Michael Frith, Muppet Stuff Store, New York, pipes, Willard Scott. Bookmark the permalink.